The destruction of cultural property in war zones is of pressing concern. The recent and on-going conflicts in the Middle East have featured both the deliberate, symbolic destruction of cultural artefacts and sites by ISIS, such as the destruction of the Temple of Bel, and the incidental damaging of such sites during combat, such as the damage to the site of Ancient Babylon by the US military. The issues raised by cultural heritage protection are a huge challenge to international law, theories of the ethics of war, and theories of value and heritage. This workshop is co-hosted by the Stockholm Centre for the Ethics of War and Peace, the Open University, and the American University of Beirut, and sponsored by the Society for Applied Philosophy. It brings together researchers from philosophy, archaeology, law, disaster management, and heritage protection. Topics to be explored include, amongst others, how we ought to compare harms to human beings to damage to objects (or the environment), how we ought to distribute resources between protecting humans and protecting objects, whether one may intentionally harm humans for the sake of protecting non-human values, how we ought to restore heritage in the aftermath of conflict, and how we ought to compensate for damage to heritage sites. Maamoun Abdulkarim (University of Damascus). Abdulkarim is Professor of Archaeology at the University of Damascus, and former Director General of Antiquities and Museums in Syria. Amr Al-Azm (Shawnee State University). Al-Azm is Professor of History and Anthropology at Shawnee State University, Ohio. He was Director of Scientific and Conservation Laboratories at the General Department of Antiquities and Museums (1999-2004) and Head of the Centre for Archaeological Research at the University of Damascus (2003-2006). Helen Frowe (Stockholm University). Frowe is Professor of Practical Philosophy at Stockholm University, where she directs the Stockholm Centre for the Ethics of War and Peace. She is co-investigator on the AHRC Heritage in War project. 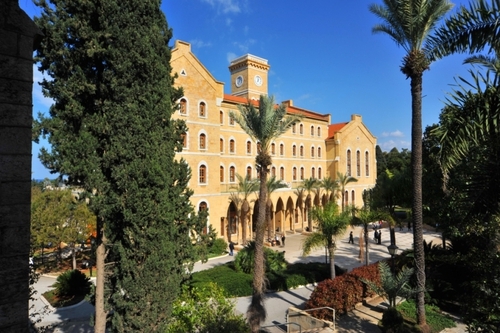 Bashshar Haydar (American University of Beirut). Haydar is Professor of Philosophy at the American University of Beirut. His research focuses on global justice, the ethics of war and duties to rescue, aesthetics and deontological ethics. Gerald Lang (Leeds University). Lang is Associate Professor of Philosophy at Leeds. He works on moral and political philosophy, and is a member of the Heritage in War project’s Core Research Group. Derek Matravers (Open University). Matravers is Professor of Philosophy at the Open University, and works in aesthetics and value theory. He is co-investigator on the AHRC-funded project Cultural Heritage in War. Christina Menegazzi (UNESCO). Menegazzi has worked for UNESCO since 2010, and currently runs the EU-funded programme on the Emergency Safeguarding of the Syrian Cultural Heritage, based at UNESCO Beirut. She has a PhD in Disaster Risk Management of Cultural Heritage. Frederik Rosén (Nordic Center for Cultural Heritage and Armed Conflict). Rosen is the author of the recent NATO report Nato and Cultural Property. His research focuses on the politics and practices of global security management with a focus on recent international military operations. He works in the intersection between political science, law, and sociology. The workshop is free and open to all, but places are limited. Lunch will be provided. The deadline for registration is Monday 12th of November. Register here.